Although the injuries most often sustained in motorcycle crashes may vary from region to region, nationally, head trauma is the most common injury resulting from an accident of this nature. Consequently, many states have made Department of Transportation (DOT) approved helmets mandatory. 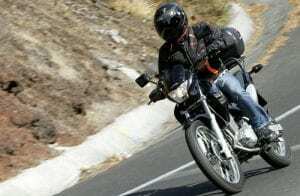 Statistics show that wearing a helmet significantly reduces your chances of death or serious injury if you are involved in a motorcycle accident. Approximately 80% of all motorcycle crashes that involve head trauma result in death for the operator or passenger. Still, 14 percent of all traffic fatalities involved motorcyclists in 2013. And at least 18 percent of all fatalities involving occupants, and four percent of all individuals who were injured in accidents. When thinking about motorcycle accidents, we must remember that most accidents are caused by drivers who violated right-of-way rules. Drivers making left turns also account for most of the motorcycle-related accidents. But most incredibly, we must keep in mind that 80 percent result in injury or death. This figure is much lower, 20 percent, when looking at car crashes. Traumatic brain injuries are some of the most common injuries associated with motorcycle accidents. Unfortunately, they are hard to prove as many victims may appear normal at first, but only experience the signs of trauma much later. Additionally, experts say that oftentimes, doctors will call a certain injury a “mild” traumatic injury to the brain when in fact, this type of trauma also carries major disability risks. It’s because brain injury is so common and serious that it’s important for riders to remember that wearing a helmet can actually save their lives. Broken ribs, punctured lungs, and bruised internal organs can all occur when a rider’s chest is struck due to a motorcycle accident. This commonly happens when a rider is forced into or over the handlebars of the bike. Broken bones including those in the femur, ankle, and knee are very common and can be life-threatening if major blood vessels are ruptured. Colloquially known as road rash, abrasions are also a common injury, generally resulting from instances in which the bike tips over and drags the rider along the surface of the road, or when a rider is thrown from the bike. In approximately 13% of all motorcycle accident, the victims suffer fractures to one or both arms. Less than 10% of all motorcycle accidents result in a spinal cord injury. 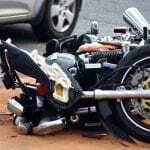 However, because of the likelihood of such a traumatic event occurring, all motorcycle accident victims are treated by EMS personnel as if they have a spinal cord injury until testing proves otherwise. Neck and back injuries are typical when riders are thrown from their bikes in a crash. Often the motorcyclist is trapped under the bike. Or they strike roadway structures like bridge supports or telephone poles. Abdominal and thoracic cavity injuries contribute significantly to fatalities and medical complications. Following a motorcycle accident, abdominal injuries include: Rupture of abdominal organs and instances of internal bleeding. Pelvic fractures occur in motorcycle accidents when the rider or passenger is run over. This can, in turn, lead to bladder ruptures. Unfortunately, government records show, motorcyclists account for 14% of all traffic-related fatalities, even if motorcyclists are less likely to be involved in crashes in the first place. A high and concerning number. Especially when you remember that impaired driving is the most common factor behind fatal motorcycle accidents. Protective clothing can lessen or avoid many common motorcycle injuries, such as head trauma and abrasions. Use protective clothing and a DOT approved helmet. For more motorcycle safety tips or motorcycle lawyer, visit the Motorcycle Safety Foundation’s website at: http://www.msf-usa.org/ or motorcycle accident attorney near me.